One of three lovely daughters in this first litter by homebred sire Riff Raff, her name comes from his seagoing name combined with the Acorn in her mother Coco's name. This gives the title of the old Navy song, Heart of Oak. 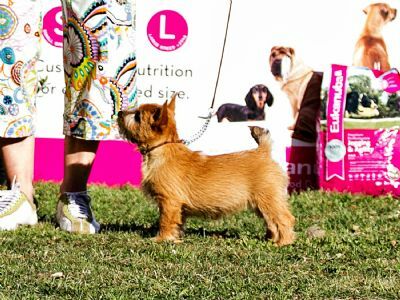 Conker began her show career at the age of 3 months, 2 days, and with a bang. She was judged Baby Puppy in Group, and then BP In Show by NZ judge Pam Douglas at the Nelson District KA Show 2, 25th January. Next day, she was Best In Group under South African judge Mrs E. Megginson, and went on to her second BPIS, under Dr Kasemsanta from Thailand. 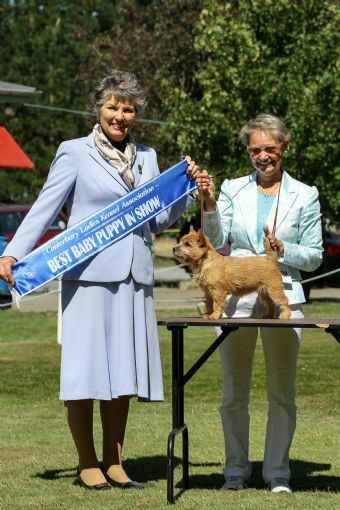 Mrs M. Reichmuth awarded her fourth in the all-age Puppy Stakes, to round off an amazing first show weekend effort from this lively and engaging baby. At Conker's second show weekend, Waikouaiti KA 15/16 February 2014, she was BPIS both days, under Mrs Judy Horton, Melbourne, and Mr David Powers, USA, a huge thrill. Attending the second day of the Canty Ladies Show 2nd March, another BPIS was achieved, under judges Mr D. Wilkinson NZ at Group and Mrs ELaine Knox NSW at In Show. As both of these judges commented, there were a lot of lovely babies to choose from, so this was a very special win. At the Selwyn District show 22/23 March 2014 Conker went BOB and Baby of Group both days, under Greg Browne and Anna Lane. Nelson Ladies 12/13 saw Baby Puppy in Group going to Conker both days, under G. Nymann of Denmark and Susan Brown, Australia. 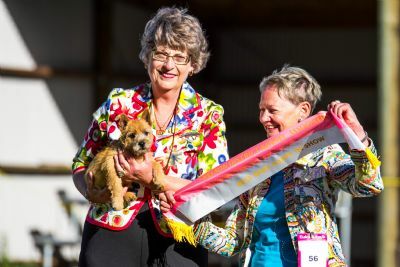 At Easter 2014 she won the Baby Puppy Stakes 28 entries, at North Canty, under Marilyn Hoy, NSW. 23-Mar-14 BOB, Baby Puppy in Group. 2-Mar-14 Baby Puppy In Group, Baby Puppy In Show. 15-Feb-14 Baby Puppy in Show.